Seeking for a new job? Want any help from Facebook? You may be wondering that how Facebook is going to help you in getting a job. But in fact, even the employers also use Social Media networks for informing new jobs are available at so and so location. Earlier usage of sites like Monster, were used to find the jobs. Now these sites also display their latest ones in social media sites. 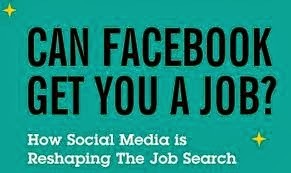 Job seekers, this post will make you find any job of your choice using social media. Social networking today has become one of the major paths in every field like advertising, social activities, advertisements, etc. 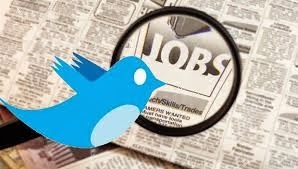 Open Twitter or LinkedIn, you will find many jobs on their sites. In the same manner, you will see many jobs that are waiting for you from Facebook too. Now when we think of any social media, what comes first is Facebook, Twitter or LinkedIn. When using Facebook, the employers are at their best for displaying job opportunities for job seekers or they send invitations for attending interviews. Jobs will not knock your doors at your doorstep. In Facebook, if you go through the site you may find options like Graph search, Groups, Facebook Marketplace, etc which are used for searching jobs. In Facebook Marketing, you will find lots of categories, from them easily you can search for a specific type of job by using the category refining technique. Twitter also uses its unique way to share some recent jobs. Status Updates : Regular updating your status and posting new thoughts will make employers find you apt for their jobs. Networking: Expand your friends' list by networking and interacting with your friends more and more. Your friends are very helping. Posting ads: Display that you are in a need of a job. Facebook Marketplace: Yes this is a new way to find a job of your choice. You can change the location where you want a job to search. Linking your profiles on social media: Again a new trick that will gain more exposure. By linking your profiles or accounts of Facebook, Twitter and LinkedIn, people will know more about you and will think that you are professional in every sense. Setting Facebook Profiles : Before you go for an interview, you have to set some settings to private or public. Start a Fan page which focuses on your strength, professional skills and your experience. These Facebook tricks will surely gain you success in getting a new job.